Bubby and Bean ::: Living Creatively: July GIVEAWAY // Win a Prize Package of Goodies Worth $130! July GIVEAWAY // Win a Prize Package of Goodies Worth $130! Then just leave a comment with your favorite summertime food or drink. That's it! Visit any of the shops from this giveaway (Heidi-and-Seek Boutique // Ciera Design // Hodgepodge Arty // Little White Chapel // Little Tree Vintage // Blissoma by Irie Star) and list your favorite item(s). 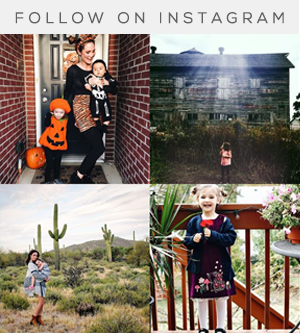 Follow/subscribe to any of the blogs from this giveaway (Hodgepodge Arty // Little Nostalgia // Irie Star: From the Bathtub // Ciera Design // Little Tree // Heidi-and-Seek). This giveaway is open through July 30th. The winner's name will be chosen randomly and announced soon after. Thanks again to the amazing Bubby and Bean sponsors who contributed these great goodies! GOOD LUCK! UPDATE: This giveaway is now closed. Check back soon to see if you won! My favorite summertime treat is berries, yum. My favorite summer drinks are sangria and heffeweizen beers :) thanks for the giveaway! 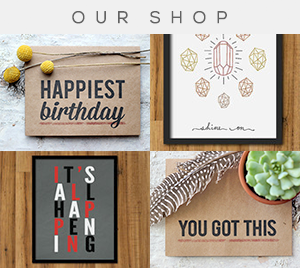 My favorite item at Ciera Design: Thank You Note Cards (set of 20) Stationery with Envelopes. My favorite (adorable) item at Hodgepodge Arty: Spring Bunny - Stuffed friend! I like the Mustard Yellow Scarf-Infinity Scarf from Heidi and Seek http://www.etsy.com/listing/101505957/mustard-yellow-scarf-infinity-scarf-cowl , I like the 2in1 Olive wool hat http://www.etsy.com/listing/105094154/2-in-1-hat-olive-stripe-reversible-knit , I like the Something blue earrings from Little White Chapel http://www.etsy.com/listing/89774770/estate-style-something-blue-earrings, and I like the Failling in Florals dress from Little Tree Vintage http://www.etsy.com/listing/93375590/falling-in-florals-dress . I'm follower #2 of Bubby & Bean on Bloglovin, I'm following you on Twitter @LiveLifeLuvFam, following you on Pinterest as http://pinterest.com/chamety/ , and I liked you on fb as Phong Van Nguyen. I follow this blog, I just can't figure out how to do it in GFC. I follow in Google Reader. My fav summer drinks are smoothies! Esp. avocado smoothies. I love the Summer Maxi Dress in pink and blue from Heidi and Seek Boutique! What a cute shop. The Flower Bunny from Hodgepodge Arty is so adorable! I love the pearl cluster necklaces from Little White Chapel...I can't choose a color! Love the tiny little Lost at Sea necklace from Little Tree! 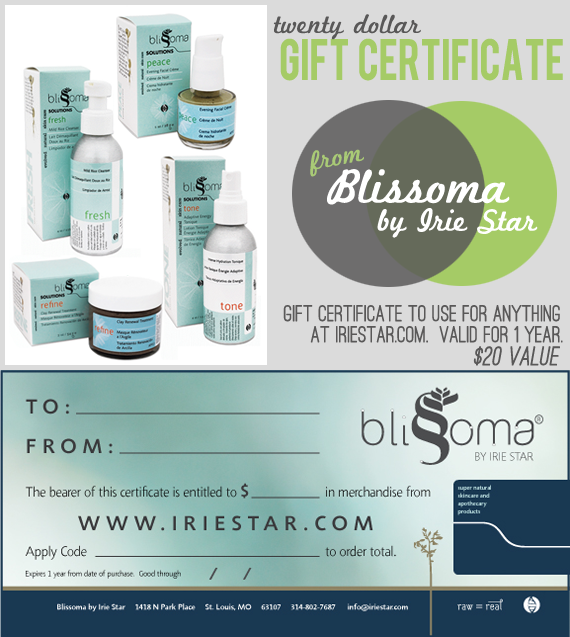 I would love to try an oily skincare introductory set from Blissoma! I have a couple products already and love them. I follow Little Nostalgia with GFC! 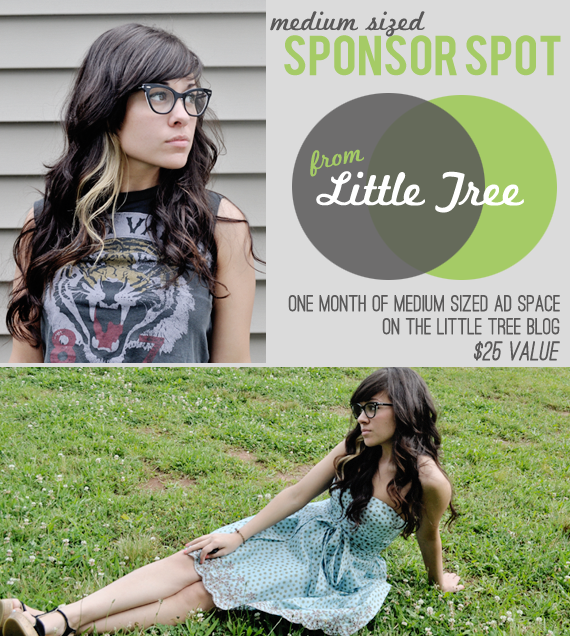 I follow Little Tree with Bloglovin! I liked you with Facebook! My favorite thing to eat during the summer is shaved ice from Sno-To-Go in Louisville, KY! I love Heidi-And-Seek's cupcake dress! I love the scarflette/face warmer in teal (what a great idea! I so need this in wintertime!) from Heidi-and-Seek Boutique. The recyled crayon cookies from hodgepodge arty are darling! I follow through GFC and my favorite summer food is watermelon! I follow your blog and also follow you on facebook, twitter and pinterest! Wow! Awesome giveaway! ;D I'm following you on GFC and my favorite summer drink is banana shakes. My favorite summertime food is fresh fruit! I follow your blog via GFC. My favorite summer drink would be root beer float. Follow on my google reader! 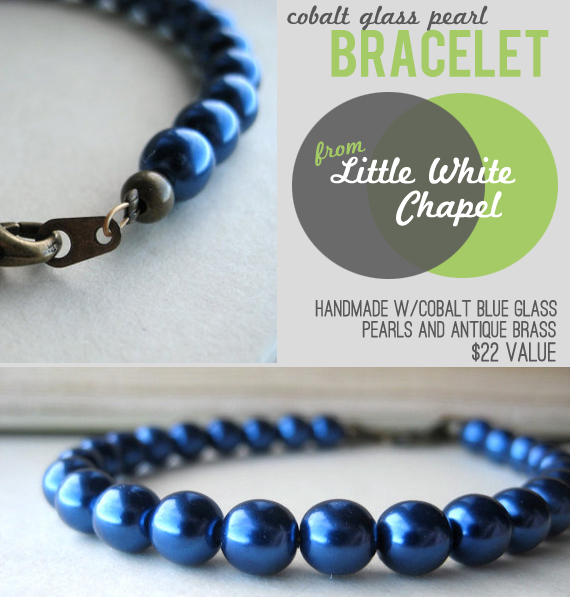 I love the pearl cluster necklace on little white chapel- so cute! My favourite summertime treat is ICE CREAM! Following on GFC (Birgit) and my fav summer drink is plain and simple ... water! Love the Strapless Tank Top-Teal Blue with Tropical Floral Print from Heidi and Seek Boutique! Love the Seed Stitch Cowl - Hand knit cowl from Hodgepodge Arty! Love the Feather Bridesmaid Necklace from Littel White Chapel! Favorite summertime drink: Sweet Leaf's Mint & Honey Tea. I mean, it's good anytime of the year, but for summer it just feels so fresh! My favorite from Heidi-and-Seek (which is an adorable name, btw) is the Nautical Striped Summer Lace top. Loose tank tops are so comfy! 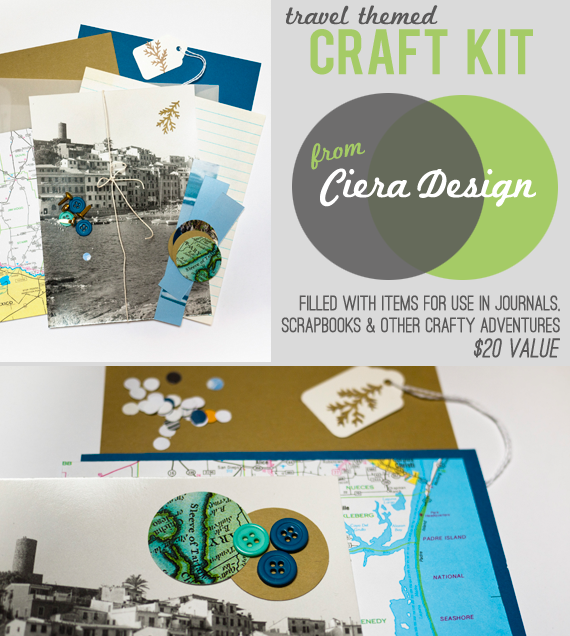 My favorite from Ciera Design is her little Chevron Thanks stickers. Those would be great for personal stuff, or even crafting business. My favorite from Hodgepodge Party is the Gnome Doll in Red. So cute and squishy! So classy and blingtastic. Not just for weddings, I guess! I am following you GFC via spunkysensation. I love a nice strong margarita on the rocks! Food....hmmmmm let's stick with mexican fajitas! 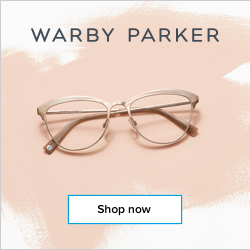 following bubby and bean on bloglovin! I heart this necklace at little tree vintage! I follow via GFC and my favorite summer time food is definitely corn on the cob!! From Ciera Design, I like the Peacock Party Printable Invitation! 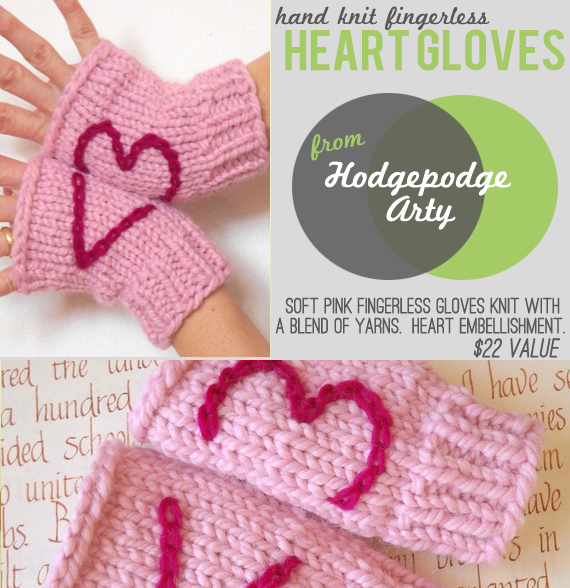 From Hodge Podge Arty...I LOVE the Peas and Carrots Fingerless Gloves. From Little White Chapel, I like the Bridesmaid Necklace - champagne gold, antique brass, vintage inspired, swarovski, pearl, crystal, acorn, nature, tagt team. From Little Tree Vintage, I like the Lost At Sea Necklace! First off, just found you through Pinterest, which has become my new obsession. So excited to find all these creative outlets, though I dont always have time to create my own due to enrollment in a doctorate program. 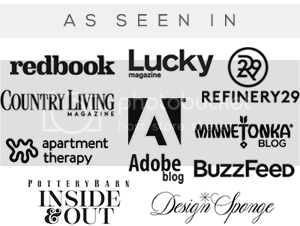 Nonetheless, I love your site because it has it all! 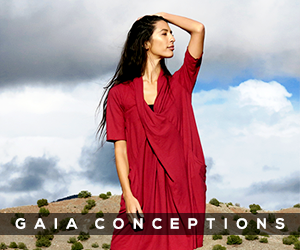 Everything from fashion to home and food...and FUN. Rock it! As for my favorite summer food, that is too hard to pick. So much good stuff grows in the garden. I like to enjoy it all in salads or smoothies. I like taking fresh from the garden items like cucumbers, mint and chard and adding it to a smoothie with frozen fruit like peaches and melon from the Farmer's Market. I switch it up all the time, but one thing stays constant...its refreshing, cleansing, and straight from Mother Earth. Sometimes I will freeze it into popcicles. Yum! Thanks again for your hard work. I would have to say my favorite summer drink is Blue Raspberry Lemonade. am following your lovely blog as a google-user..
My favorite summer meals are all kinds of berries in a variety of ways: as cakes, milkshakes, on bread with honey, with Joguhrt, as ice-cream, on pancakes, in salads or simply by itself. Yummy! Besides drinks with berries i love *Hugo* as my favourite summerdrink: champagne, elderflower syrup and mint. Refreshing! I am now following you on Twitter (@EsterDuraes)! My favorite drink is mojito. * All giveaways are open worldwide! i follow on gfc ... my favorite summertime treat is homemade ice cream! My favorite summer time drink is Sangria. NOTHING is better than a light peach sangria on a roof top porch downtown Denver! I love soft serve twist ice cream! I like eating cotton candy Italian ice from Rita's. Liked Bubby and Bean on facebook as user "Mona Zavala"
My favorite item for Ciera Design is the Chevron Thank You Round Sticker Designs, so cute! My favorite item from Hodgepodge Arty is the Reversible knit hat! My favorite item from Little White Chapel is the Victorian Bridal Hair Comb, definitely a must have. My favorite item from Little Tree is the My Fair Lady High Waisted Skirt. My favorite item from Irie Star is the Oily and Problem Natural Skin Care Group Set. My favorite summertime drink is watermelon margaritas!